Now, just ten days before Christmas, Holly’s up to her jingle bells in holiday shenanigans and in desperate need of a miracle. Juggling extra shifts at her family’s Christmas tree farm and making enough gingerbread jewelry to satisfy the crowd is already more than she can handle―and now she has to find time to clear her best friend of murder. Add in her budding relationship with the sheriff, and run-ins with an ex-fiancé looking to make amends, and Holly’s ready to fly south until springtime. But her Sherpa-lined mittens come off when Caroline is taken into custody. Can Holly wrap up the case in time for Christmas … even after she gains the true killer’s attention? 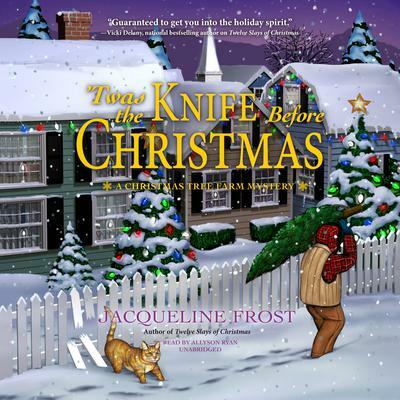 Find out in ‘Twas the Knife before Christmas, Jacqueline Frost’s second pine-scented Christmas Tree Farm mystery. 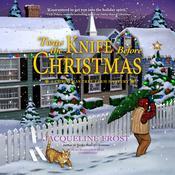 Jacqueline Frost is a mystery-loving pet enthusiast who hopes to make readers smile. She lives in rural Ohio with her husband and three spunky children. Jacqueline is a member of the International Thriller Writers and Sisters in Crime.